This is such an awesome deal I’ve already marked it for me to get for my daughter. How cool is this? 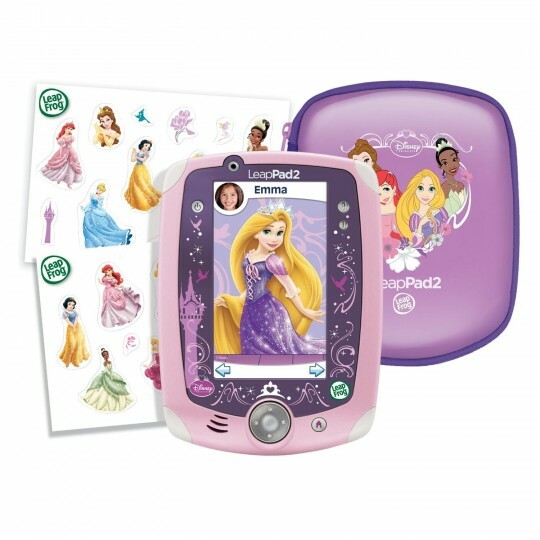 You get the LeapPad 2 Explorer Disney Princess Bundle with a ton of extras for only £67.99. This usually retails for around £99.99 so you are saving £32 and it comes with free super saver delivery. Hurry, though, we all know how quickly Amazon changes their prices! This is one of the leading learning tablets on the market and happens to include a ton of features. You can use the front and rear cameras to record and photograph your world. The video games can be controlled using the motion-based play and recording your own voice with a built-in microphone. The device automatically adjusts the learning to each and every child, asking more challenging questions as children develop. Ti comes with five apps and a free exclusive Princess case and stickers.